With today’s advancements in health care and special emphasis on preventive care, older Americans are experiencing a future of better health and longevity. This is where our initiative Aging with Options™ shines. No matter what stage of aging, no matter what state of health, Volunteers of America can offer the right support at the right time. Simply put, we have the expertise to coordinate all the care and support necessary to meet each individual’s needs―one by one, helping people maintain independence and self-sufficiency. Through our integrated network of committed and compassionate professionals, Volunteers of America provides choices and support through each phase of life’s journey. Volunteers of America invites everyone into its circle of caring and supports every older adult’s right to age in place surrounded by family and friends. Whether you are the one being cared for or the one giving care, we are there to support, empower and uplift you. Many older Americans need help from time to time with issues that are not necessarily health care related. Even a sudden minor illness may make it difficult to get to the store, prepare meals or walk the dog. Older people who live quite successfully in private homes may be lonely and seeking socialization. The Aging with Options Community Engagement Programs will meet those needs. 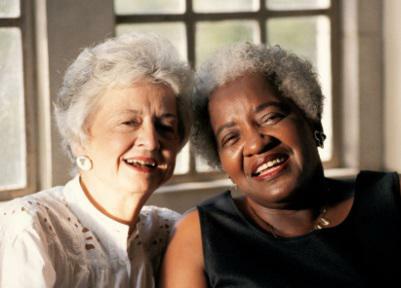 Working side-by-side with responsible, professional organizations, as well as volunteers, the Aging with Options Community Engagement Programs will ensure that each individual receives access to high quality, dependable services to meet all of their independent living needs while allowing them to remain living where they are most comfortable―at home. Aging with Options' Home and Community-Based Services program offers a variety services related to hands-on health care or assistance with activities of daily living (ADLs). From personal care, which may include medication management or home medical equipment services to assisted living-at-home or respite care, Volunteers of America can help guide each person through the various stages and issues associated with aging in place. Services will focus on medical diagnosis or an individual’s need for medical oversight in order to maintain their independence. Every caregiver across the nation wants the best care for their aging loved one; but getting that care can be frustrating. Driving from appointment to appointment; managing medications; dealing with doctors who don’t talk to one another; struggling with leaving loved ones at home alone without the supervision, company or stimulation they want and need―it doesn’t have to be like this. Thousands of families across the country have found a different and better kind of care for their aging loved ones―PACE. These PACE families have experienced a program that provides and coordinates all the care their loved one needs without the unnecessary or premature placement in a nursing home. Services are provided in one place so loved ones can live at home and with PACE, the goal is that cost will never be a barrier to receiving the care that is needed and will not vary based on a participants changing needs. There are never any co-pays or deductibles, and if eligible, PACE is covered by Medicare and/or Medicaid. What is unique about PACE is that a caring qualified team of doctors, nurses, social workers and therapists work together to develop an individualized care plan. Doctors in the PACE program specialize in care for the elderly and are allowed to spend as much time with each participant as needed. Care revolves around the loved one and the family, because PACE believes in supporting the family as a whole and it should be at the center of important health care decisions. If there is ever a need for hospital or nursing home care, PACE will arrange for this within the family’s community, and if it's best for a loved one to receive some medical services in their home, that can be arranged as well. People feel confident, safe and comfortable with the care and support they receive from a PACE provider.